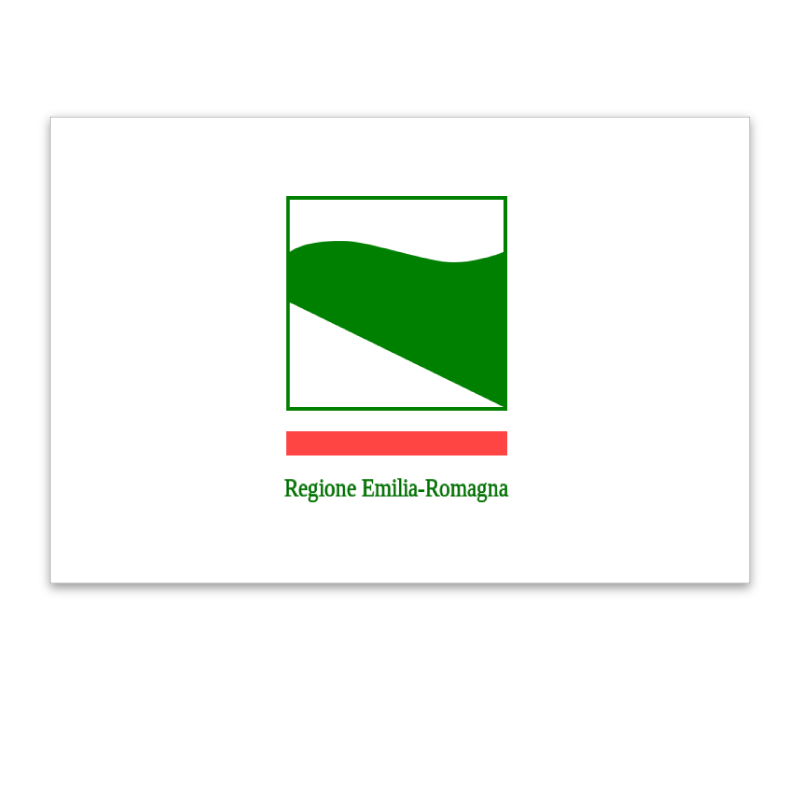 The Province of Reggio Emilia has an area of 2,293 sq.km and borders the province of Parma to the west, Modena to the east, the region of Lombardy to the north and the region of Tuscany to the south. 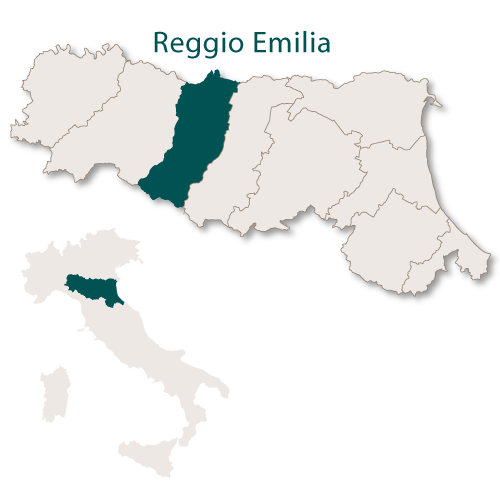 A long, thin wedge right in the middle of the region of Emilia Romagna, Reggio Emilia is not quite as mountainous and the other provinces. 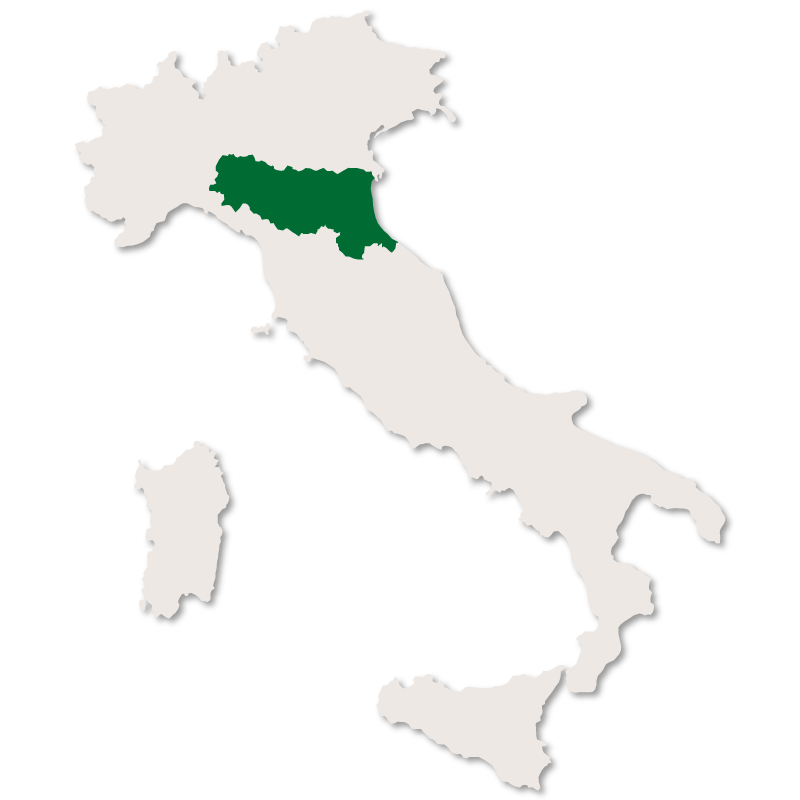 The far north includes the Apennines which form the border with Lombardy and the highest peaks are around 2000 metres. The rest of the landscape consists mainly of gentle hills and plains dotted with rivers, lakes, rocks and forests. It is a deep green, fertile province which is steeped in history and old traditions. 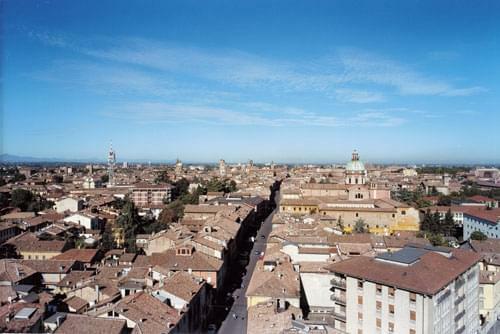 Capital of the region of Emilia Romagna, Reggio Emilia is the more commonly used shortened version of the city which is actual called 'Reggio nell'Emilia'. The origninal city walls were built in an hexagonal shape and consequently the city remains in this formation although the walls have long since crumbled. 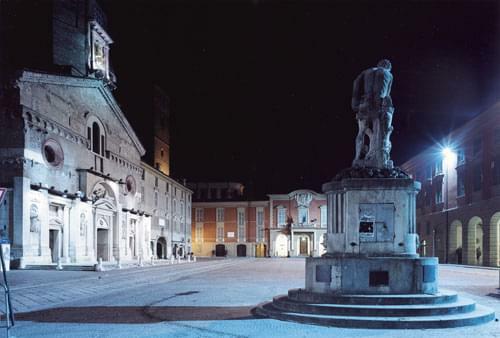 The two main streets, which cross each other and run through the historic centre, are Via Emilia and Via Roma. The two main squares, where most of the historic buildings stand, are Piazza del Duomo, Piazza Prampolini. 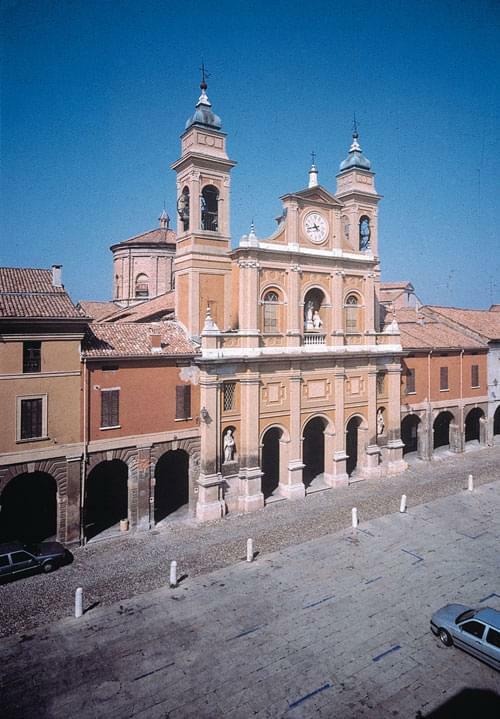 The Cathedral of Reggio Emilia is one of the three main religious buildings in the city. The original work began on the Cathedral in the 9th century but it was reconstructed in the latter half of the 16th century. Basilica di San Prospero which was built in the 10th century is the second of the three important churches and was dedicated to Prosper of Reggio who was a bishop of the city at the time. The Basilica della Ghiara was built in 1597 and is the most important church in Reggio Emilia. It is built in the Baroque style on the shape of a Greek cross with a large dome in the centre and four smaller domes around it which are not visible from the outside. The church of St. Augustine, the exact date is unknown but it was rebuilt, along with an annexed convent in 1268. It was restored again in 1452 at which point the current tower was erected. The current interior is 17th century and the façade was added in 1746. The church of St. Jerome and St. Vitale which was mentioned as early as 857 but was subsequently reconstructed in 1646. The church of San Giovannino was built in 1545 and inside has Baroque frescoes made in 1613 by several famous artists of the time. The church of St. Peter and St. Prospero which was built in 1586 with the cupola being added in 1625. A façade was added in 1782 and the cloisters were constructed in the 16th century. The church of St. Stephen, which, when it was sited outside the city walls, was a Templars' church. The Baroque church of St. George with a 1746 cupola. Baptistery of Saint John the Baptist. The small Baroque Christ's Oratory. The Baroque church of St. Philip Neri. There is also a Neo-Classical theatre, 'Teatro Municipale'. The Ducal Palace of Guastalla built in 1567. The Civic Theatre 'Ruggero Ruggeri' which was constructed in 1671. The octagonal 'Oratory of Madonna della Concezione'. The church of Santa Maria dei Servi with a noteworthy interior. The 18th century Civic Tower. 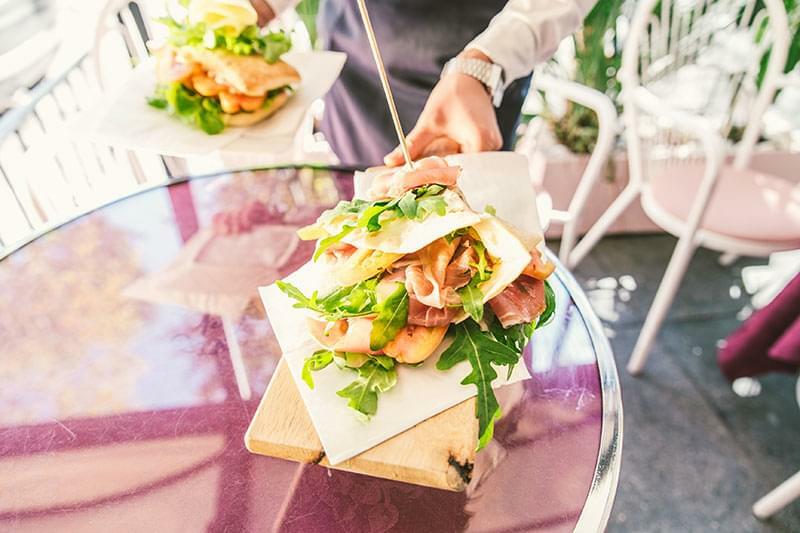 Near here you can find the well known ski resort of Febbio which is set on the highest peak in the province, Monte Cusna at 2,121 metres. 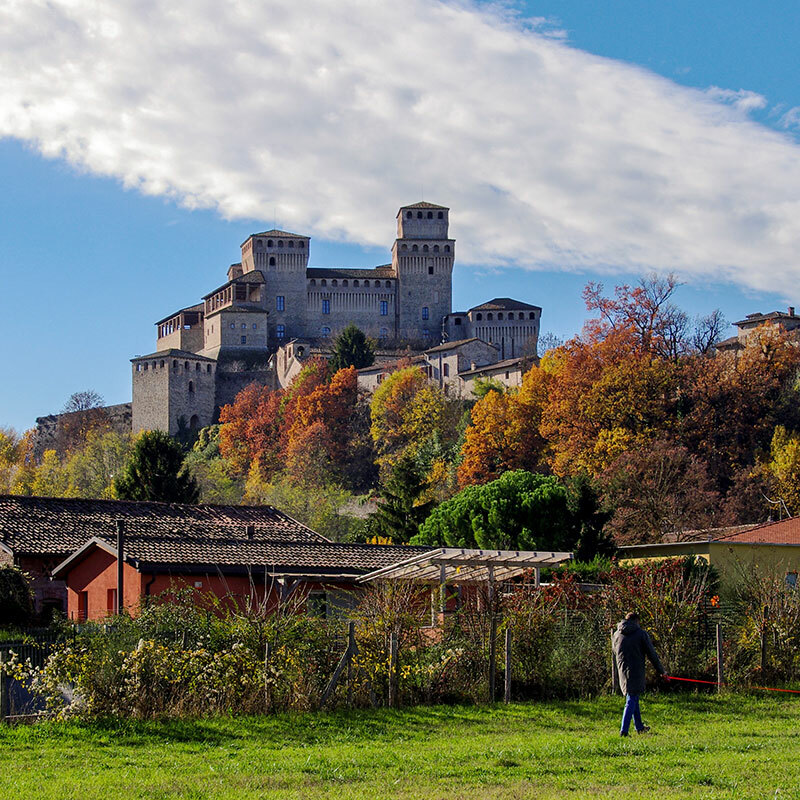 The 10th century Canossa castle, which once belonged to Matilda of Tuscany, can be found here but is now nothing but a ruin. St. Celestine's church in Cadelbosco di Sopra is an elegant church which has a late baroque style façade and a three-nave interior with vaulted ceiling and five altars. The church of Cadelbosco di Sotto was built 1513 under the orders of Prince Ercole d'Este and is well preserved, still retaining most of its original structure. The church of Villa Argine dates back to the late 15th century but was rebuilt at the end of the 17th century. It was severely damaged by an earthquake in 1996 and the apse and bell tower had to be restored.